Anyone seen a 4th gen on civic si wheels? i dont want a photoshop, i can do that myself. anyone have a real picture? 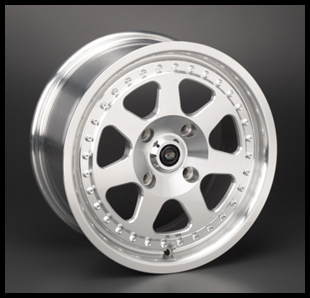 Re: Anyone seen a 4th gen on civic si wheels? i know they're similar but i like the civic ones more. i've always loved civic si's maybe not the exact ones in the pic but are there si's that look like those but fit the lude? Like prelude13 said, the si wheels will not fit. 1993 BB1 Prelude VTEC...JDM H22A, T2W4 LSD, new paint/shaved/tucked, under construction..
if you really like them you can down grade. hahaha legit..but still a downgrade..
A lot of rims have those. They might actually be functional I'm not sure. 3 piece rims are pretty sweet. ^ the bolts on the jmags aren't functional. I'm def not a fan of the civic si rims. they look cheap to me and i dont think they compliment the cars. I've had a guy with the civic si with those same exact rims come up and compliment mine and say he wished the civics had prelude si rims instead. civic si's and gsr's are to played out i think. yeah, those look nice! the bolt pattern is different tho.